This is part of a sponsored program with our friends at Neutrogena. As always, our expressions are ours. Research says that almost 8 in 10 teens have acne, as do many adults. So, it’s a much common problem that we may think. Teens are specially prone to this temporary skin condition due to the puberty phase. These bumps (that can be pimples, cysts, whitehads, blackheads, etc), appear due to the hormonal changes associated with becoming a young adult. While those changes are happening in the inside, the skin is going through its own changes. It goes something like this: pore gets clogged, closes and bulgest out from the skin and a whitehead appears, which many times can turn into a blackhead. Sometimes the pore wall opens and here is were bacteria can come in causing a pimple. Knowing that genetically this is a common circumstance of many teens is just the first step. 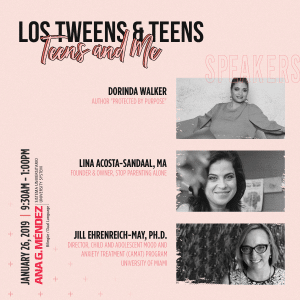 The second is to become aware of the importance of educating our tweens and teens about taking care of their skin from early on. Not be freaks about it – but awaken the consciousness that washing your frace every morning and night is as important as cleaning your teeth. The #1 way to prevent the oil buildup (thus then causing the pore to clog), is to wash the face twice a day with mild soap and warm water – without scrubing too hard. We have partnered with our friends at Neutrogena to bring you a series of resources to help YOU take better care of your skin, while at the same time you can be the example to your teen or tween (the earlier the better). Browse, click and shop directly in the e-retailer. Have other acne fighting favorites? Add them in the comments below and happy shopping! This entry was posted in #Shopping, Back To School, Body, Fashion & Beauty, For Teens, Parenting Teens and tagged Neutrogena, skincare, teen acne. Bookmark the permalink.